For years anglers have been demanding a strong, low profile, quick release bracket for holding their fishing electronics. Designed to handle today's most popular sonar units, GPS or portable radios. The ProMount Quick Release Bracket makes it possible to easily remove your electronics weighing up to three pounds from a permanently mounted base with one hand. The 360-degree swivel adjustment lets you see the unit from any angle. 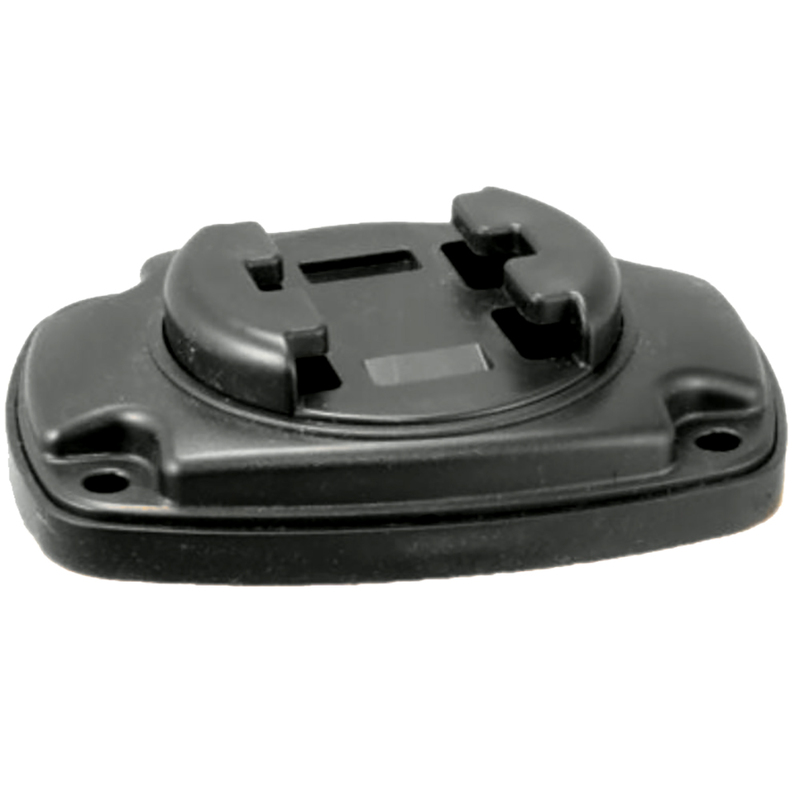 The Pro Mount will fit nearly all Lowrance, Garmin, Eagle, Hummingbird, Pin-Point and Vexilar electronics. The permanent base is available separately too, which makes it easy to place several bases around the boat or even in another boat. Several systems have been mounted in trucks to hold GPS units with great success. The ProMount sells for much less than current brackets, but with more features and versatility. The sleek, low profile of the ProMount is only 1 1/8 inches high. The permanent base has no sharp edges to step-on or wear a hole in your boat cover. An optional installation hole cover spacer comes with every base to give you a well finished look to the mount when installed. Your electronics can also be mounted overhead and hang down on the secure locking rail system of the ProMount to increase the potential places you can mount electronics. The ProMount Quick Release Bracket comes with all stainless steel mounting hardware and the bracket is corrosion resistant. The ProMount is self-draining and easy to clean, so it even looks good when the electronics are not in your boat. Outside Dimensions: 3.45" x 4.75"
Mounting Hole Spacing: 2.3" x 3.7"